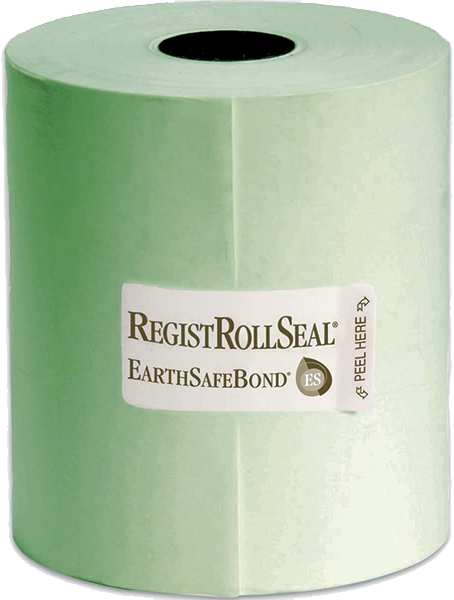 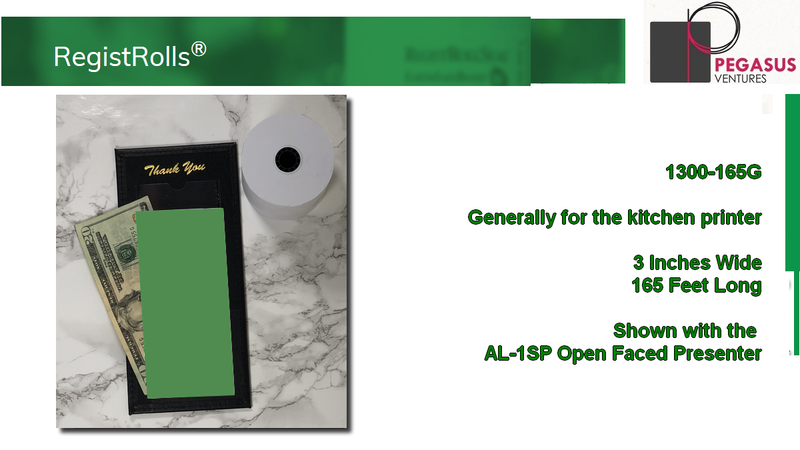 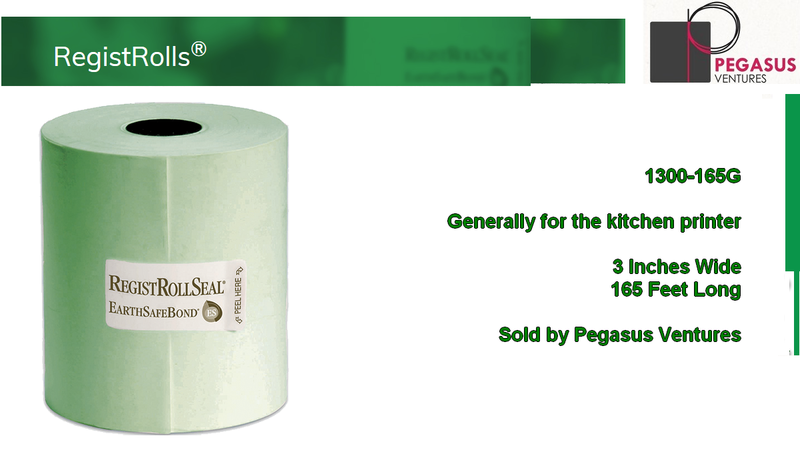 Designed for high-capacity receipt output the 1300-165G green RegistRolls® brand paper cash register and POS paper rolls come as one ply Earthsafe bond paper measuring three inches wide made with recycled fiber most often used by customers of Pegasus Ventures with their restaurant kitchen printers. 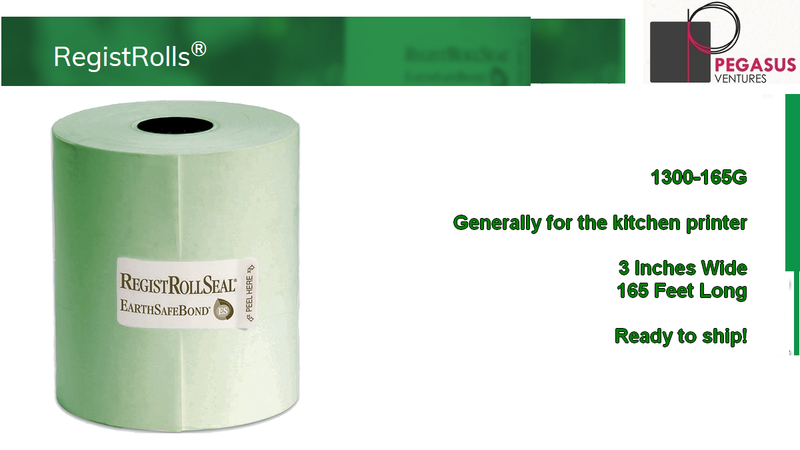 There are 50 bulk packed cash register rolls in every case. 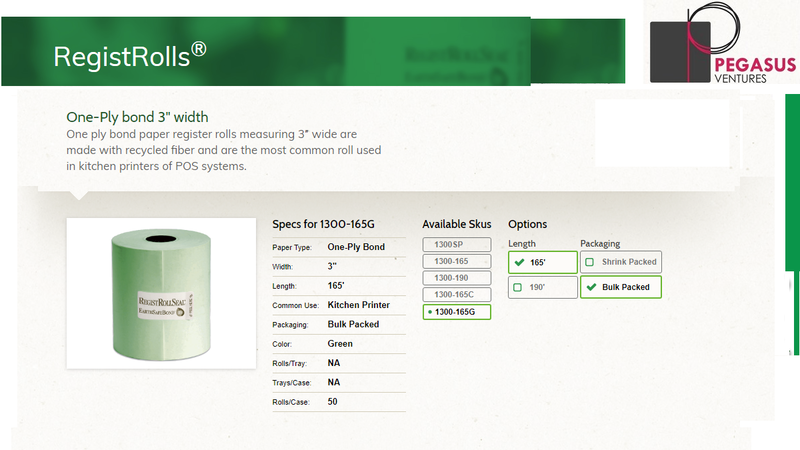 Each 1300-165G cash register roll has a diameter of two and three quarters inches. 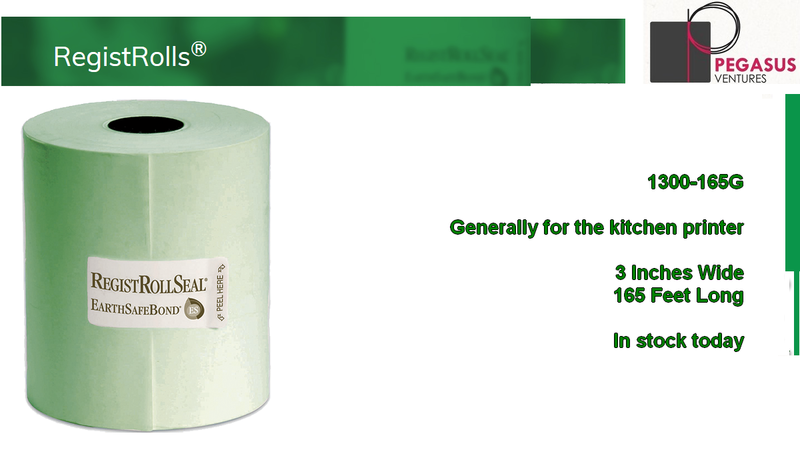 All cash register rolls carried by Pegasus Ventures are BPA free and the 1300-165G is made with a lint free paper with a warning stripe at the end of the roll. 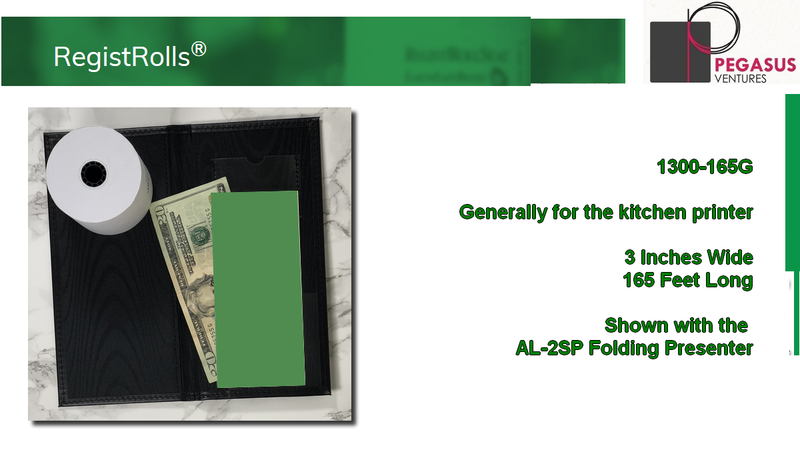 Orders received by noon eastern ship the same business day with all orders shipping the next business day.